Hearing about IRIS Connect on the education grapevine proved a valuable experience for Fern Federation at Cefn and Craig yr Hesg in Wales. 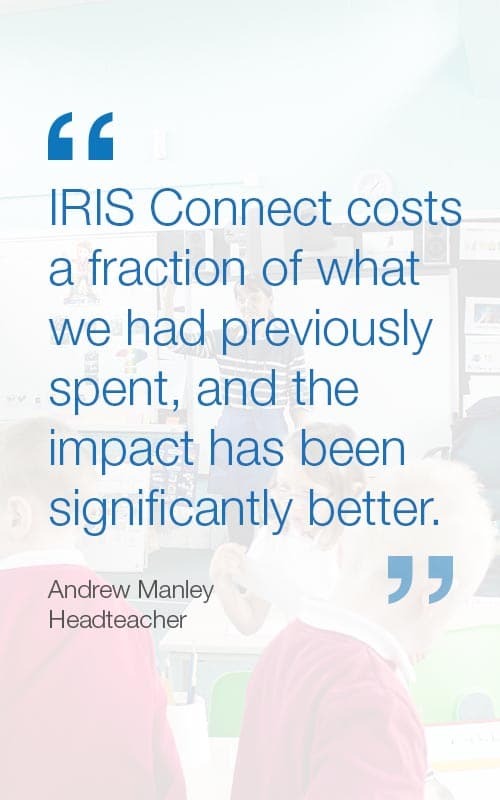 Headteacher, Andrew Manley, explains how since embedding IRIS Connect a year ago they have radically reduced the cost and increased the impact of their CPD. IRIS Connect: What CPD activities were you offering staff prior to purchasing IRIS Connect? Andrew: We were offering course based CPD provided by external companies and some in house training. Generally the courses focused on curriculum content rather than on pedagogy, meaning staff developments were inconsistent. IRIS Connect: How does IRIS Connect compare to your previous CPD activities? Andrew: The federation were spending in the region of £5000 per year and although the courses provided a variety of experiences, rarely were they good value for money because they didn’t cater to teachers specific needs or the federation as a whole. IRIS Connect costs a fraction of what we had previously spent, and the impact has been significantly better. IRIS Connect: How are your teachers, and the school as a whole, benefiting from IRIS Connect? Andrew: Teachers are gaining a greater insight into their own practice by using it for self-reflection, group reflection and for coaching and mentoring. It’s also helped senior leaders to moderate judgements, review leadership skills, create interview content to identify candidates understanding of pedagogy, as well as better understand it themselves. IRIS Connect: What do you hope to achieve through using IRIS Connect? Andrew: Our main goal has been to develop staff’s ability to reflect on their own performance and the impact that they have on others, which is exactly what’s happening. I think IRIS Connect is possibly the best professional development process available.